It’s been a great day for Formula Driving school and our student Christian Tiricovski! He has passed his driving test in a manual transmission car on the first attempt at Rockdale RMS this arvo! 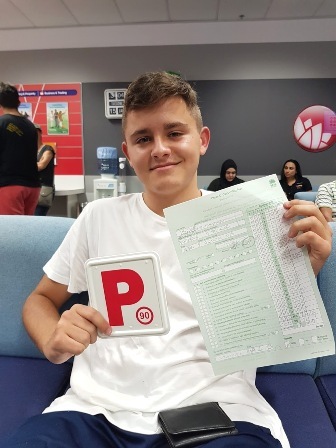 99% performance mark is a perfect sign of Christian’s robust driving skills! Congratulations on this achievement Christian! Drive safe!